Cancun, Aruba and Barbados are among destinations that seem to come up in conversation time and time again. Honeymooners, party-goers, and families stick to these popular vacation spots like flies to honey. But before you write them off as too mainstream, too touristy and simply overrated, consider what makes them such hot spots for many travelers, including families. Cancun is irresistible with newlyweds, college kids and families. And why not? Warm, picturesque beaches, nearby Mayan ruins, kid-friendly attractions and great Mexican food make this a fantastic destination for a family vacation. Top family attractions include Xel-Ha, a 210-acre natural aquarium and tropical jungle, with snorkeling, tubing, cliff diving and a delicious Mexican buffet; and Tulum, the site of a pre-Columbian Maya walled city overlooking the azure sea below. No passports, the use of U.S. currency, and easy access to this family-friendly U.S. territory make Puerto Rico a popular destination. Find direct flights from many cities to the capital city of San Juan, also a popular cruise port. The historic city and surrounding areas have a bounty of kid-friendly attractions like huge forts, a children’s museum, powdery beaches, hiking and zip lining. Escape the crowds by staying in nearby Candado, home to top family hotels. Soak up sun, history and culture on this mostly undeveloped Mexican island. Kid-friendly attractions include Punta Sur Ecological Reserve & Lighthouse to see wildlife, Atlantis Submarine for underwater viewing, and Chakanaab Beach Adventure Park for animal shows, snorkeling and swimming. Face it, stunning kid-friendly beaches like Seven Mile Beach never get old. Elsewhere on the pristine island you can swim with stingrays, snorkel in coral reef gardens so colorful they look painted, and visit a turtle farm. 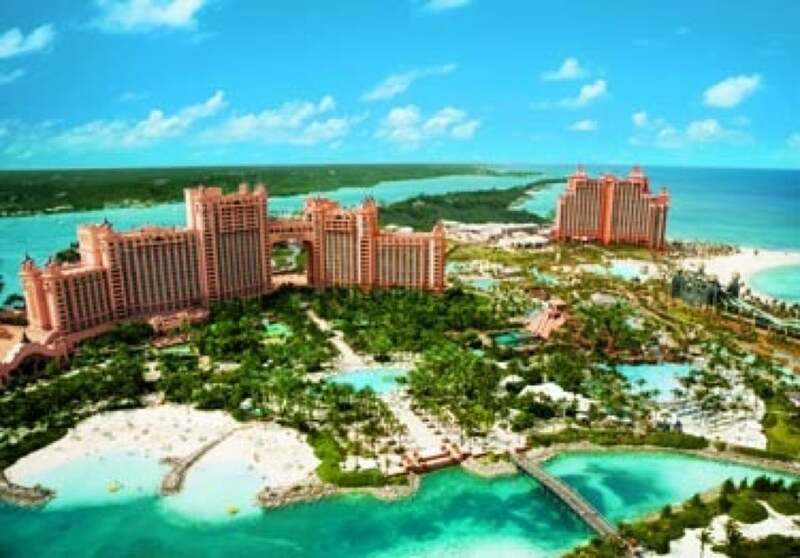 Sure, the Bahama’s capital is packed to the gills with tourists, but it’s hard to resist the Atlantis Paradise Resort. Amenities for kids (of all ages) include an assortment of pools, slides, and lazy rivers. Too much? Quiet, pristine beaches are just mere steps away. A bit of a newcomer to the hot Caribbean islands list, Punta Cana has moved up in the ranks yet still holds some mystique, so there’s plenty to discover on your own. Here on the Dominican Republic’s east coast you’ll find a bunch of all-inclusive, kid-friendly resorts, sunny beaches, horseback riding, parasailing, and an array of water sports. Friendly locals, a laid-back vibe and affordability have long made Jamaica a favorite with travelers. It may be overrated, but as the birthplace of reggae music and the Rastafari movement, it’s also a unique Caribbean island. Family-friendly adventures include the Dunn’s River Falls & Snorkeling Adventure Tour in Ocho Rios, and Chukka Tours’ rafting, dune buggy riding and zip lining. Though known for high-end, celeb-type resorts and lively festivals, Barbados also has amenities for kids. Go under the sea with Atlantic Adventures, explore Harrison’s Cave, and see monkeys, armadillos, deer and other animals at the Barbados Wildlife Reserve. Not only a go-to for the rich and famous, but the bevy of all-inclusive resorts and swanky vacation rentals in Turks and Caicos accommodate families of all ages and interests. Some like to stay on property at the all-inclusive resorts while others venture out for snorkeling, diving, kayaking, boating, horseback riding and many other kid-friendly activities. Tagged as a longtime honeymoon retreat, Aruba is also among the most revisited Caribbean island by travelers looking for their beach fix and range of family-friendly accommodations for all budgets. The touristy Palm Beach area is the hub for restaurants and shops, while the less crowded Eagle Beach is favored by many for its wide beaches and low-rise buildings. Kid-friendly activities include jeep tours, snorkeling, and excursions to beautiful Arikok National Park.